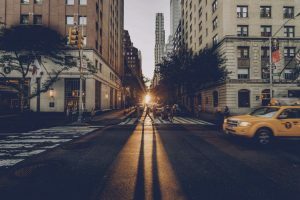 With nearly 30,000 licensed real estate agents in New York City and only about 12,000 transaction per year, it is no surprise that some less than savory agents turn to desperate measures to ensure that they make a few dollars. One such agent’s antics were presented to me this week in the form of the most ludicrous and unethical termination clause that I have seen in my entire 25-year real estate career. Let me first explain the “termination clause” to which I’m referring. Within three (3) business days after the expiration of the Exclusive Listing, the Exclusive Broker shall deliver to the Owner a list of no more than six (6) names of persons who visited the Exclusive Property during the term of the Exclusive Listing. If within ninety (90) days after the expiration of the Exclusive Listing a sales contract or lease for the Exclusive Property is executed with one of the six persons on the list, the Exclusive Broker shall be entitled to their portion of the commission set forth in the Exclusive Listing. Owner represents and warrants that if a new exclusive listing agreement is executed with another Exclusive Broker (the “New Exclusive Broker”), Owner will notify the New Exclusive Broker of this provision and that the Exclusive Broker may negotiate directly with the Owner with respect to the Customers on the list during the ninety (90) day protected period. Basically this entitles the exclusive agent to a commission if any of the 6 people whom they introduced come forward to purchase the property within 90 days. I think it is reasonable as do most of my colleagues and our customers. It works well in maintaining peace and fairness throughout the industry when properly inserted into an exclusive agreement. But alas, sometimes sellers sign agreements with no such language and even worse, they occasionally sign agreements with much more ambiguous or vague language keeping them on the hook contractually for extended periods beyond the end of the original agreement. In the event that: (i) at any time during the term of this Agreement a sale of the property, upon terms acceptable to us, is made with any prospective purchaser to whom the property is submitted by (a) previous broker name, (b) us, or (c) any other party; or (ii) at any time up to six (6) months after the expiration or termination of this Agreement a contract of sale is entered into, or sale of the Property occurs, with any prospective purchaser to whom the Property is submitted during the term of this Agreement, then we agree to pay Previous Broker Name its full commission at the closing sale of the Property (the “Closing”). Previous Broker Name shall submit to us no later than fourteen (14) days after the expiration or termination of this Agreement a list of these prospective purchasers (the “Protected List”). Notwithstanding the foregoing, the failure of Previous Broker Name to provide the Protected List shall not relieve us our obligation to pay the Commission (hereinafter defined). Some may think the differences between the two termination clauses are subtle but they are indeed vastly different. What does “submitted” even mean? Well in this case it actually means submitted! Go figure. The previous broker showed the property only two times yet the “protected list” that the previous agent provided to the sellers not only names several specific individuals but also names complete firms. In fact, the agent listed every single firm to which she “submitted” the listing during the term of the exclusive. This means that for the next six months, if any agent from any of those firms (nearly every firm in New York City) brings a purchaser to this property, the Previous Broker Firm will come after these elderly sellers for a commission. Unethical? Disgusting? Desperate? All of the above. The moral of the story: pay close attention to the language in your exclusive agreement that may bind you to your agent and their firm beyond the regular term of the agreement.